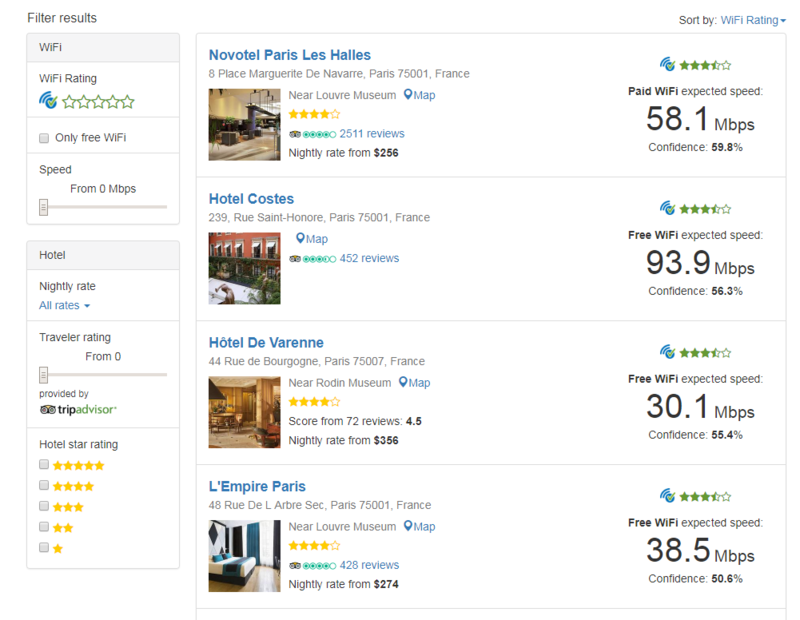 There are a ton of things you should check before you book a hotel room: price, type (leisure or business), location, transportation, reviews & ratings, preferred room’s availability… You can get this information from more than enough websites out there, with even more details, like the cleanliness, virescence, hotel staff hospitality, bed comfortability, etc. But mostly, you can’t figure out if your hotel provides WiFi & how fast it is! WiFi is so important to stay online and connected to the world. That makes knowing the hotel WiFi status a necessary lesson you should have before checking in if you don’t want to end up using up your cellular data. Of course, most hotels provide WiFi; but unfortunately, chances are a great number of them can’t care less about the speed and stability of the connectivity. Some of them just put the words “Fast WiFi” on their homepages or booking pages without thinking if it’s true. You may be able to view some websites and receive some emails but streaming Netflix? Forget about it or go out to look for a public WiFi nearby. That’s not fair – you don’t pay a few hundreds of bucks for this. According to our research, the larger the hotel, the more area for their WiFi to cover, the more customers it will need to cram onto the same network, the worse the WiFi. That’s why you need a tool to run a hotel WiFi test before (or even after) checking in. 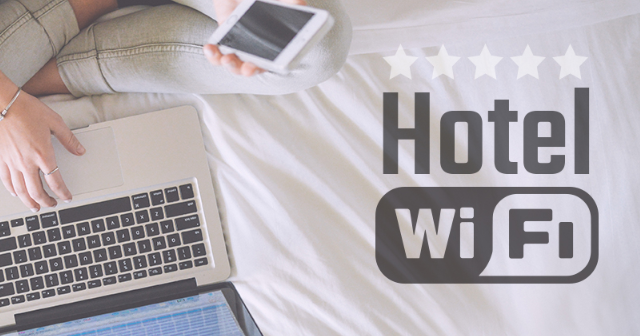 Hotel Wi-Fi Test is the online tool you need to do this. Before checking in, you can look at all the target hotels in its database to check their WiFi speed and if their WiFi is free or paid. 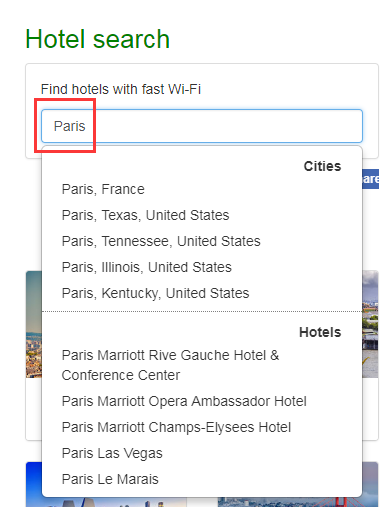 In “Hotel search” section, enter the name of the city or a specific hotel and you will get a long list of results, each with the WiFi speed and various details. 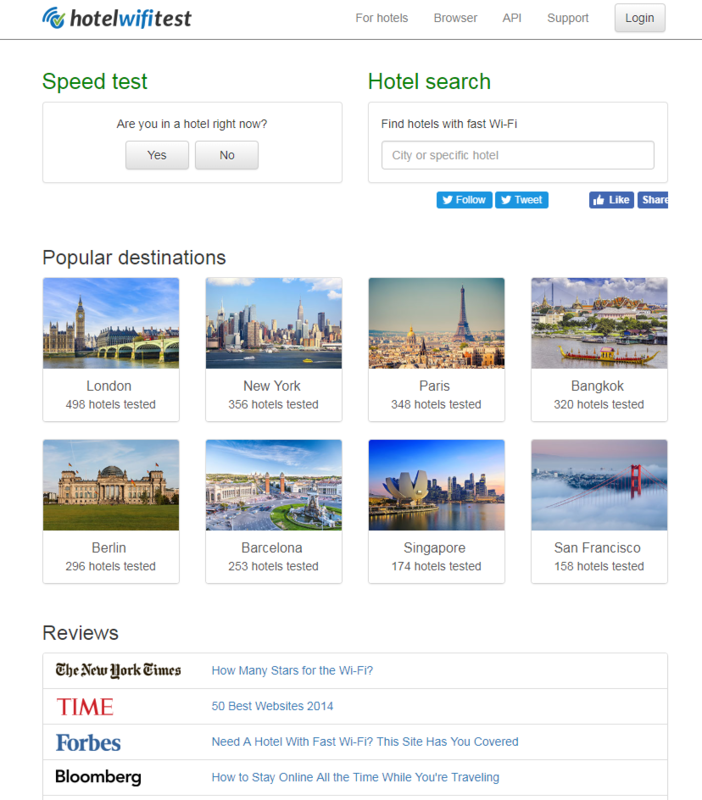 You can also filter out the results according to your criteria: WiFi rating, WiFi fee, WiFi speed, nightly rate, traveler rating (supported by TripAdvisor), hotel star rating, etc. After checking in, Hotel WiFi Test is able to pin down your location to run an immediate network speed test. In the “Speed test” section, click on “Yes” (you must allow this page to use your location). What if you are in a hotel which does not provide free WiFi or only provides a cabled network? You need Free WiFi Hotspot to get your WiFi devices connected for free. 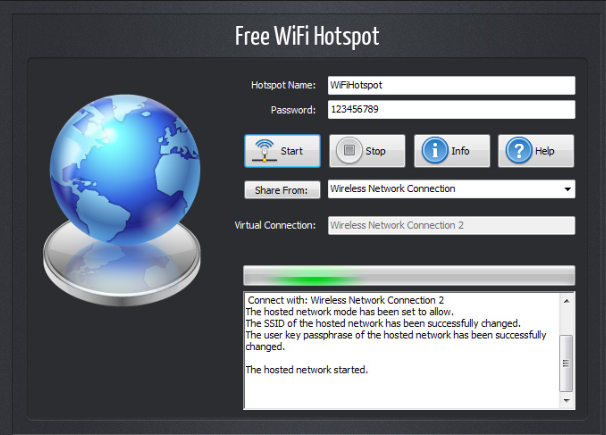 Just download, install and run Free WiFi Hotspot on your laptop. Follow this tutorial to create WiFi hotspot on your laptop to share the network.